Game Dev Tycoon is coming to iOS November 28th, according to Greenheart Games, the developer of the popular PC title. The game allows you to manage a game developer studio, from the 80s and slowly progresses through a story. Players will be able to experience some of the backend happenings, about what it takes to write, create, polish a game, from the eyes of a game developer. The simulation is quite entertaining, and quite realistic, as some games may fail because of poorly thought genres, bugs, etc. You may have heard of Game Dev Tycoon a few years ago, thanks to an innovative idea by Greenheart Games. The developers in order to teach game pirates a lesson, released a cracked version of Game Dev Tycoon, with an odd twist. The pirated version's story mode would end up with the player being bankrupt, because the game which their virtual studio made, was pirated by many gamers. This highlighted the woes faced by developers in the real world, who don’t make money because people pirated their games, instead of buying them. Ok, now back to topic. Game Dev Tycoon for iOS will arrive with new content, which will feature an updated story line, new game types, a new super-difficult mode, a new interface for mobile devices. The game has been ported to mobile devices by Austrian studio. Rarebyte. The game will be a premium one, with no ads, or in-app purchases. According to the announcement post, Game Dev Tycoon for Android will be released in January 2018, followed by a Free update to the PC version (available on Steam). 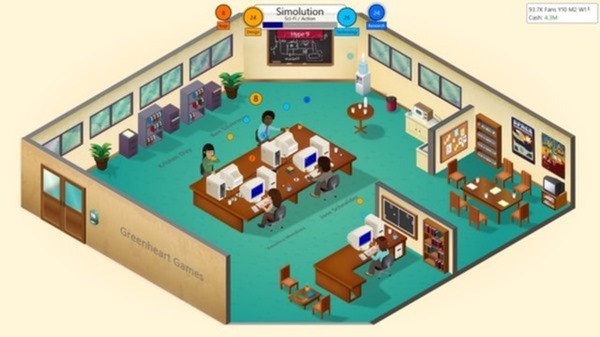 You can buy Game Dev Tycoon from Steam now, or try the free demo before doing so.